Wanda brings her vision, leadership, strategy and management skills to the SIBA GITA Board, skills developed over the years of business experience following the start of her career as a Professional Accountant at Deloitte Touche. Wanda has been a GITA director since 2015. Wanda Skerrett is chief executive officer and board member of Open Spatial where she is responsible for creating shareholder value by providing the vision, leadership and strategic focus for the company. Since joining Open Spatial, Wanda has worked on the development and implementation of a strategic plan to advance the company’s vision, mission, objectives and to promote revenue, profitability and growth. As the key face of the company, Wanda develops new customers and channels, markets and manages existing customer and channel partner relationships, develops strategic partnerships and ensures that overall revenue and profit goals are achieved and shareholder value is delivered. 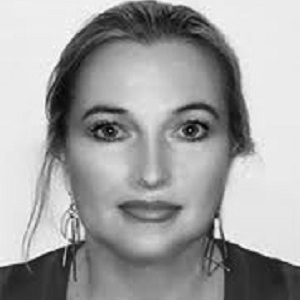 Before joining Open Spatial, Wanda served as Financial Controller with Squibb Laboratories (now Bristol-Myers Squibb), as CFO of an alternative London investment company and investment, and managed a private consulting practice. Wanda is a Professional Accountant. She holds a PD from the Rosebank College of Education, a BCompt from UNISA, Certificate of Completion of Articles from Deloitte Touche, a CFA from the Institute of Commercial and Financial Accountants of Southern Africa, a QI Certificate from Computer Associates Accpac International, and a CeFA from the Institute of Financial Services UK.